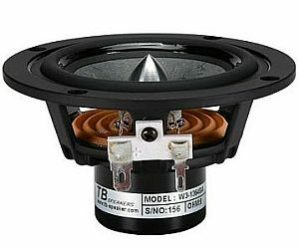 I have never owned any Full Range drivers before but decided on this Tang Band W3-1364SA because I was intrigued by the specs – cast frame, bamboo cone, underhung voice coil, neodymium magnet and a ruler flat response. Pretty impressive on paper. I reckoned if they don’t work out, at least my loss is limited to about $80 (bought a pair). 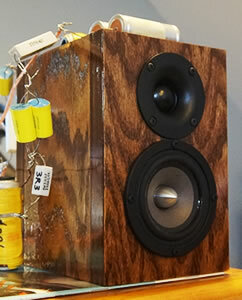 Being a 3″ full range driver, I eagerly built a tiny 1.5 liters closed box and had a listen. I remember I was sorely disappointed. The music was lifeless. Bland. Nothing special, except for the price. I really wanted to like these drivers but I simply couldn’t stomach them. They were cast aside, actually more like banished. Waste time, waste money. No Smoothing, 0.5 meters on axis, 5 msec gating. 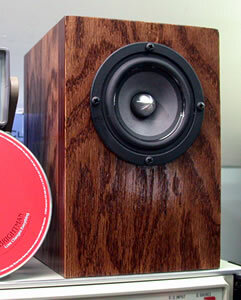 Disregard measurements below 500Hz. I did a frequency sweep of the W3 to see how closely it resembles Tang Band’s. In the OmniMic plot, the W3 is relatively flat and extends all the way to 20kHz. 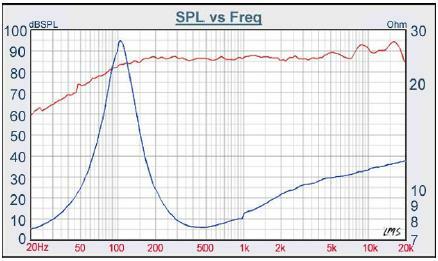 The major difference is a notch at 3,000Hz. Maybe this the where the driver transits to high frequencies. It was a year later that I took another look at the W3. 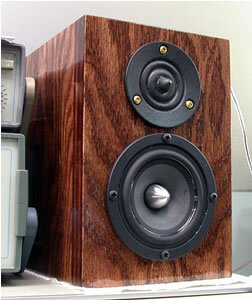 I just finished working on another speaker that was using the Vifa XT25SC90. Thought I’ll give it a go and try a 2-way with the W3. There was a definite improvement but after careful consideration, I aborted the idea because integrating this tweeter is too troublesome. I wanted to cross the tweeter at 2,500Hz but the XT25SC90 is more comfortable at between 3,000~3,500Hz. So, they sat in their corner again. Fast forward 3 years. I took a risk and bought a pair of Peerless BC25SC08-04 tweeters. Let’s take a closer look why.